So named for the oval or olive shaped back skirt. 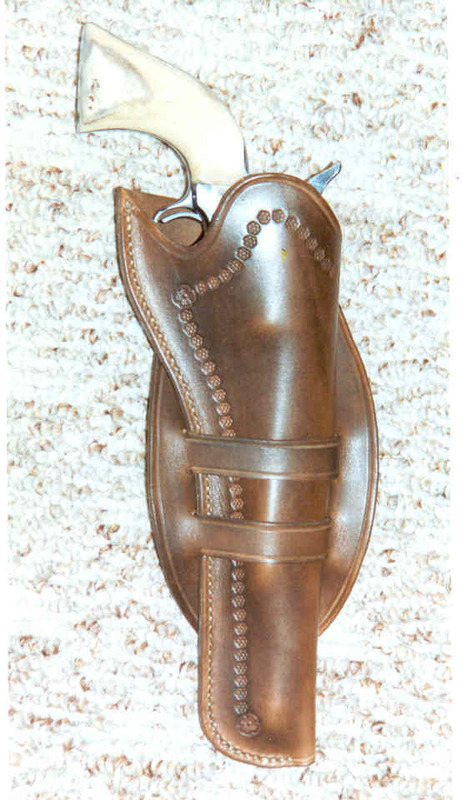 This holster has a slight cant for cross dras. Takes a Colt SAA or any of its "P" frame clones. 7 1/2" barrel, right handed. Border tooling.